Conquer the skin’s dryness with Dr Jart’s famous Ceramidin formula! 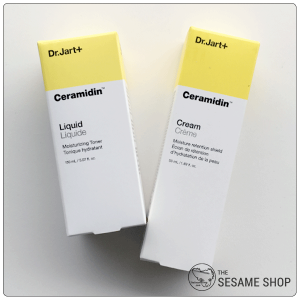 Dr Jart+ Ceramidin series is specially designed to repair the skin’s moisture barrier, surcharging it with hydration, then locking the hydration in with its patented Ceramide Complex. Ceramides are naturally occurring in the skin’s lipid, but as the skin barrier gets damaged and moisture is lost, ceramides are lost from the skin’s layer. 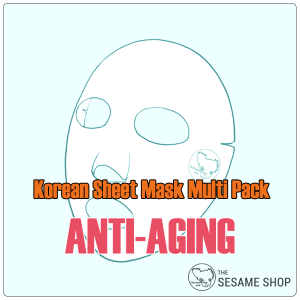 The loss of this skin-bonding molecule will lead to loss of elasticity and saggy skin. The loss of ceramides further compromises the skin’s ability to retain moisture. 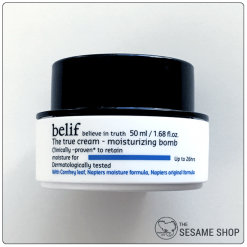 The Liquid and Cream work together to deeply moisturise, repairs the skin’s barrier and restores the skin’s elasticity and plumpness. After cleansing, apply a small amount of Ceramidin Liquid all over the face. Pat gently until absorbed. 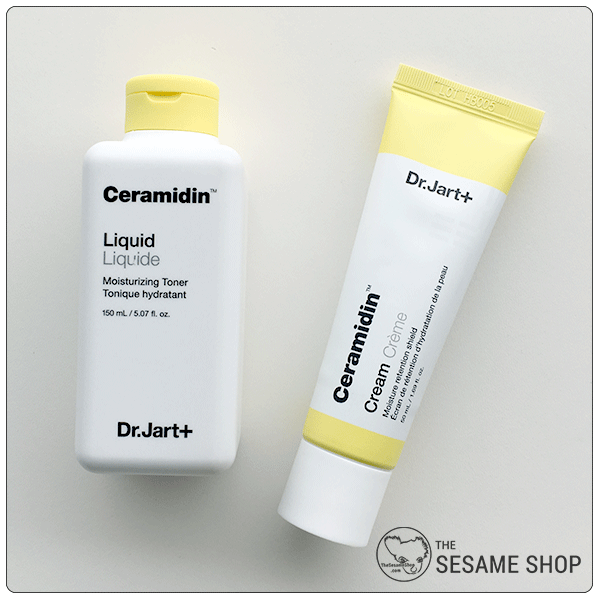 Follow with the Ceramidin Cream all over the face. Massage gently until absorbed. 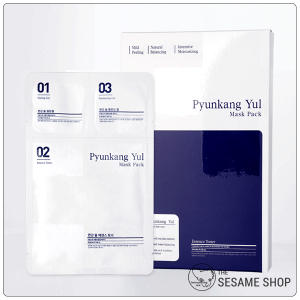 Water, Dipropylene Glycol, Alcohol, Betaine, Propanediol, Glycosyl Trehalose, 1,2-Hexanediol, Erythritol, Pentylene Glycol, Glycerin, Hydrogenated Starch Hydrolysate, Acrylates/C10-30 Alkyl Acrylate Crosspolymer, Tromethamine, Diphenyl Dimethicone, Triethylhexanoin, Panthenol, Butylene Glycol, Hydrogenated Lecithin, Centella Asiatic Extract, Ficus Carica (Fig) Fruit Extract, Ceramide NP, Melia Azadirachta Leaf Extract, Theobroma Cacao (Cocoa) Seed Extract, Amaranthus Caudatus Seed Extract, Ulmus Davidiana Root Extract, Curcuma Longa (Tumeric) Root Extract, Ocimum Sanctum Leaf Extract, Corallina Officinalis Extract, Pyracantha Fortuneana Fruit Extract, Carbomer, Cellulose Gum, Sucrose Distearate, Dipotassium Glycyrrhizate, Ethylhexylglycerin, Methylpropanediol, Disodium EDTA, Glyceryl Polymethacrylate, Citrus Auranthium Bergamia (Bergamot) Fruit Oil, C12-14 Pareth-12, Polyglyceryl-10 Myristate, Pelargonium Graveolens Flower Oil, Dextrin, Glyceryl Stearate, Sodium Hyaluronate, Salvia Officinalis (Sage) Oil, Pogostemon Cablin Oil, Cholesterol, Ceramide EOP, Ceramide AP, Ceramid AS, Ceramide NS.